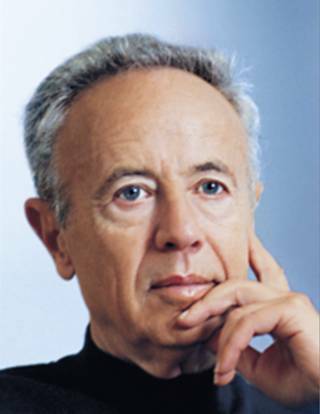 Time finally took one more giant from IT industry - Andy Grove (original name - András István Gróf), a person who contributed a lot to silicon valley culture and to the growth of Intel. For Andy life was never easy, his story itself is an inspirational one. Andy born in 1936 in Budapest, Hungry. Hungry was then under the control of Nazi regime of Germany. Andy's Jewish heritage only made this things complicated. After surviving the Nazi Regime and World War II, Hungry came under brutal Soviet style regime. In 1956 Soviet forces brutally suppressed a popular uprising against then Communist regime of Hungry. It was at this time Andy (at the age of 20) fled to Austria and then to US. It is to be noted here that, when he reached US he was barely able to speak English. After reaching US he got a degree in Chemical Engineering from City College, New York and then a PhD from University of California, Berkeley in 1963. After that, he joined Fairchild Semiconductors. When Gorden Moore and Robert Noyce left Fairchild and cofounded Intel, he joined Intel (first hire) and worked as its Director of Engineering. He went on to become Intel's president in 1979; CEO in 1987; Chairman and CEO in 1997. He dropped his position as CEO Intel on 1998 after being diagnosed with prostate cancer a few years earlier, though he remained as Chairman of the board till 2004. Andy was very famous in the world of management with his unique philosophies no nonsense approach. According to Andy, "Business success contains the seeds of its own destruction... Success breeds complacency. Complacency breeds failure. Only the paranoid survive."